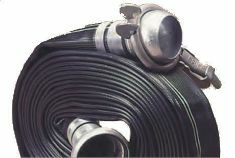 IrrigationBox proudly presents the highest quality and unique lay flat hose products at great prices. 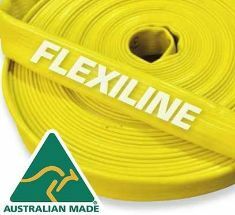 Our market leader hose manufacturers, Austalian Crusader and Norvegian Mandals, provide comprehensive range of specialized hoses; each specifically designed to suit each application. 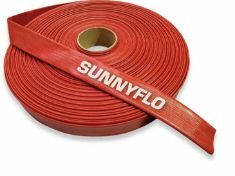 We offer a wide range of world class lay flat hose products for applications such as – but not limited to – irrigation; drinking water and wells; dewatering ; slurry; umbilical systems; heavy duty fluid transfer and fire protection. 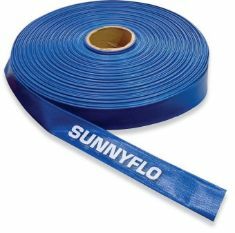 Flexible lay flat hoses offer many advantages over more inflexible types of hoses or pipes, for example in terms of transport and storage volumes, handling and usage. Layflat hose facilitates the easy transfer of liquids over long distances without a huge logistical burden. 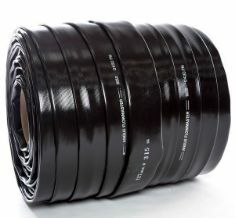 Layflat hose is a low coil volume solution to storing metres of pipes. Rigid hose does not confer the same benefits, as it takes up a lot of space thus making handling more difficult. 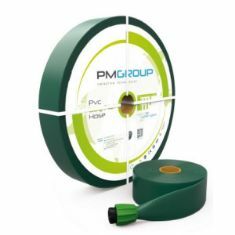 IrrigationBox offers nitrile rubber extruded hoses up to 6 inches diameter (152 mm) and thermoplastic polyurethane (TPU) extruded hoses up to 12 inches diameter (305 mm). The Extrusion through the weave method gives a very strong bond between the inner reinforcement and the TPU or rubber cover. Generally, nitrile rubber has an abrasion resistance approx. 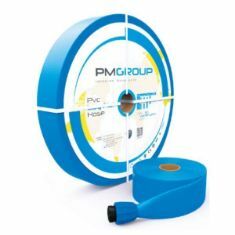 3 times better than PVC, and TPU has an abrasion resistance 4-5 times better than nitrile rubber. Product quality is strongly focused at IrrigationBox, as proven by our ISO 9001 certification. 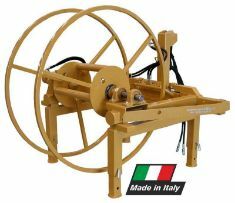 Hydraulic driven hose reel will serve you to use your lay flat hose efficiently and easily. Connected to a tractor via three points linkage. 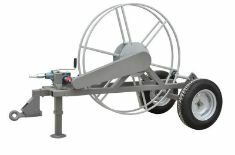 Portable, easy to use tractor PTO driven hose reel. Single or double independently operable reels.